Now that we live in a digital world where internet sales are a growing force, it is more vital than ever to place emphasis on the curb appeal of your brick and mortar business in order to succeed. Whether you are looking into remodeling the current building for your business, moving to a new location, or just getting your new business off the ground, incorporating a commercial glass canopy into your design scheme will provide a pleasing aesthetic along with a multitude of benefits. 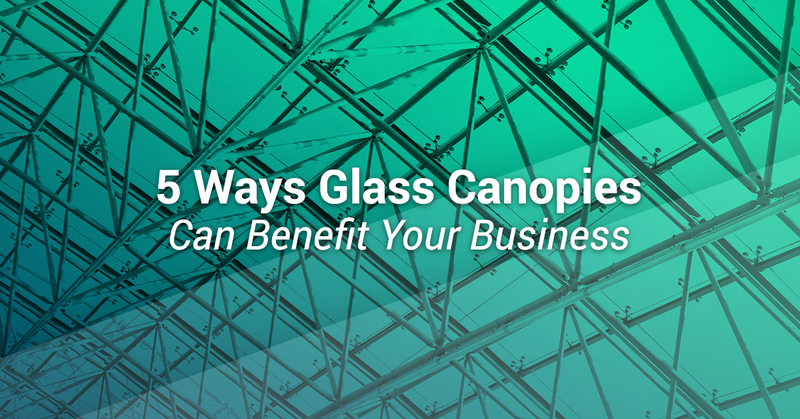 Here at Pro-Wide Glass, we have outlined a few of the reasons you should consider a glass canopy when going about upping the design of your commercial property. Architectural design trends certainly come and go, so it’s important when planning to perform such a large investment in your business’ building to be sure you are choosing design elements that will not quickly be replaced and withstand the test of time. Glass canopies offer one of the most modern yet minimalist designs that are guaranteed to remain a primary trend for years to come. With the many style options available, they are extremely versatile and able to match as well as amplify your building’s design scheme. As a business, customer satisfaction is your utmost priority. This is a priority in every scope of your business — not just your products or services. It extends to every aspect of the customer experience, and the look and feel of your company’s place of business is one of the beginning pieces of their experience. Having your customers wait outside in the pouring rain also can quickly depreciate their experience before they even walk in the door. By covering your entrance with a glass canopy, you can ensure that your customers arrive in your store dry and happy. Having a building that is easy on the eyes opens up much more opportunity for you as a business owner as your customers gather a fonder first impression of your company. When potential new clients or new purchasers approach your business, you want them to view the outside and feel a sense of comfort and excitement as they go to enter for the first time — not be deterred by the out of date design, worn walls, or old windows. You only have moments to make a great first impression, so make it easier with a glass canopy to reinvigorate your business entrance. When it comes to the choice of glass for your canopy or other materials such as wood, plastic, or fabric, there is no comparison. Fabrics and plastics will become dirty and deteriorate quickly despite your best efforts to clean and maintain them. Wood will eventually begin to rot, discolor, and warp as time goes on and it is exposed to more environmental elements. By choosing a glass canopy, you have a durable and long-lasting structure that will keep its look and form for years on end. Continuing off of the previous point, other materials require heavy-duty cleaning regularly and yet they still inevitably lose their ‘new’ look much quicker than you would prefer. Beyond wiping down with Windex on occasion to keep it clean and clear, commercial glass canopies require little maintenance in order to constantly look sound and new. The only con to commercial glass canopies is the potential for having your glass break due to a variety of reasons. No need to worry, though, as this is when the glass repair experts at Pro-Wide Glass are here to help! 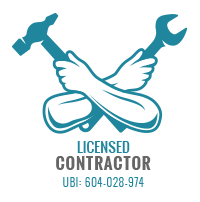 Whether for a glass canopy or any other commercial glass repair needs in the Seattle area, contact Pro-Wide for quality glass and service.